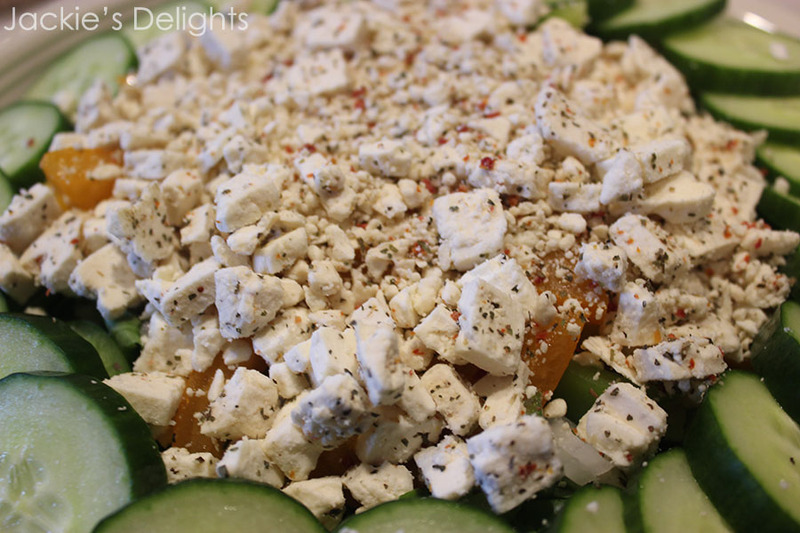 If you’re looking for an easy salad that’s quick to impress, you’ve come to the right place. 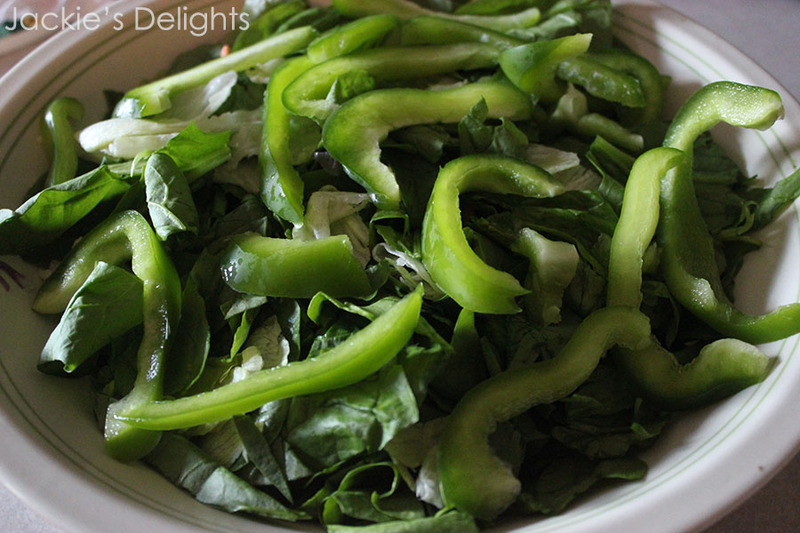 This salad is simple yet flavorful, colorful and tasty! 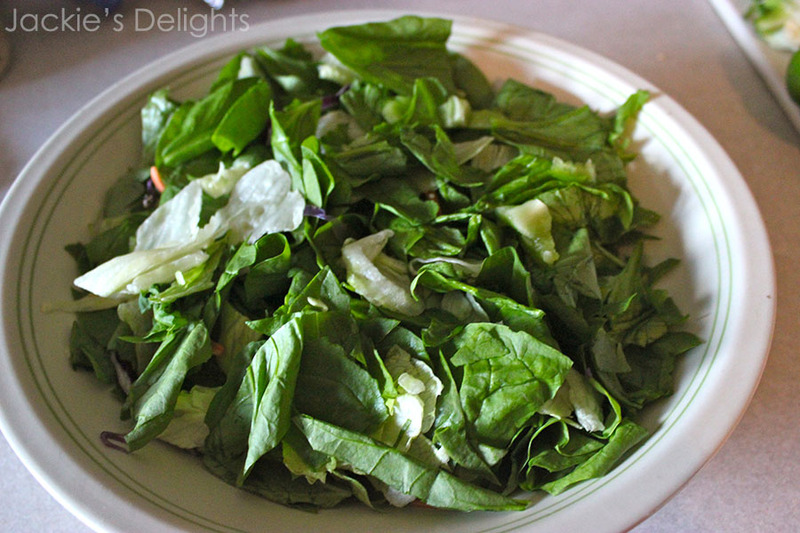 First, fill a bowl with leafy greens of your choice (I opted for mostly spinach with a handful of salad mix from a bag). 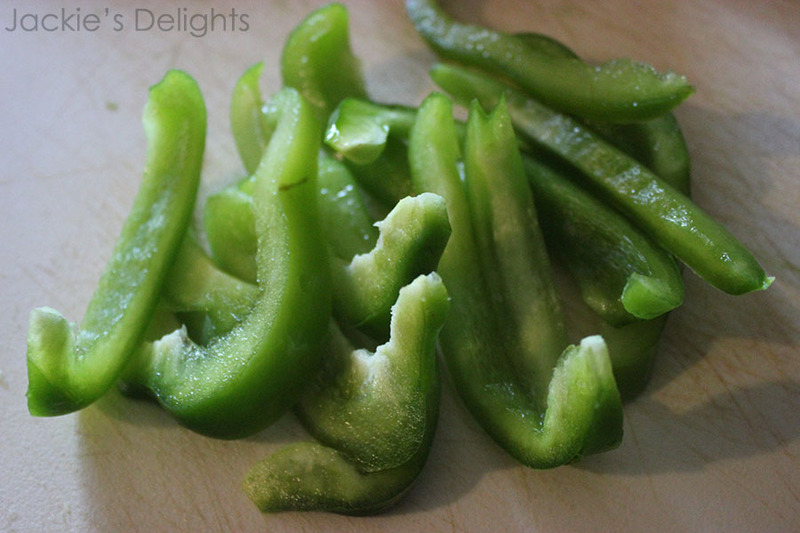 Cut half a green bell pepper into strips. 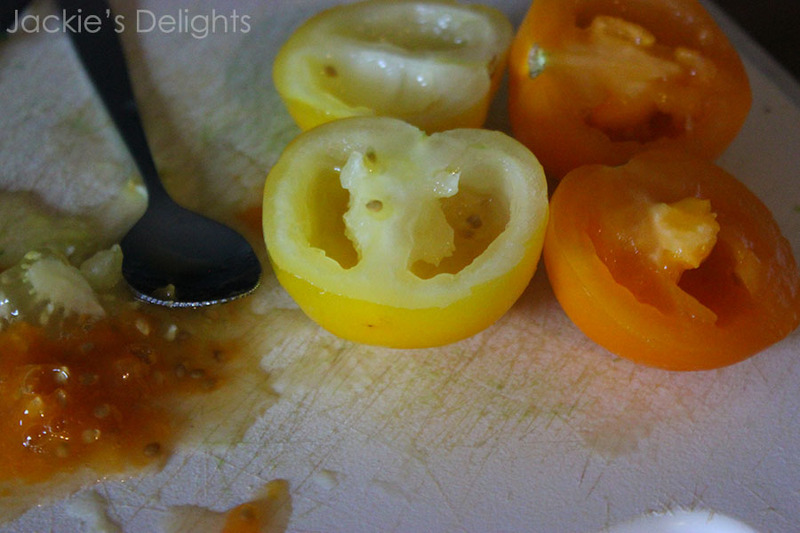 Next, get two tomatoes (they can be red if you like). Gut them and slice them. 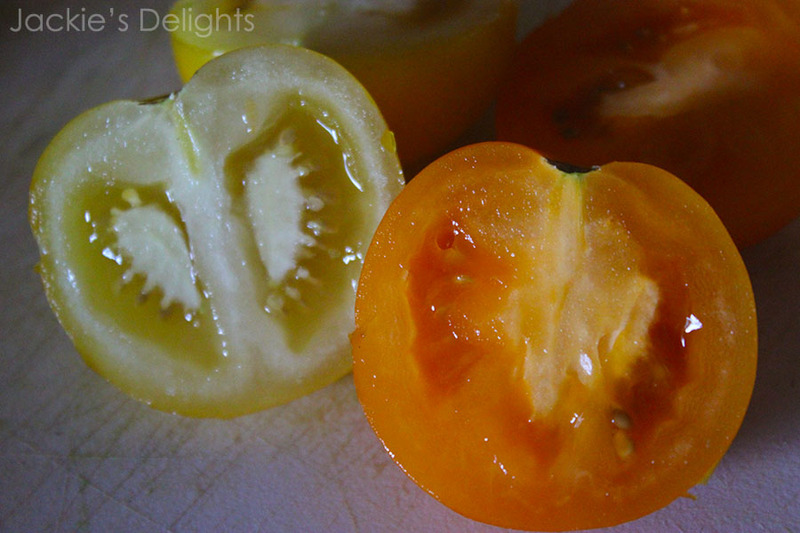 Add the tomatoes to the salad, and slice some cucumbers to line along the circumference of the bowl. Add some feta cheese. 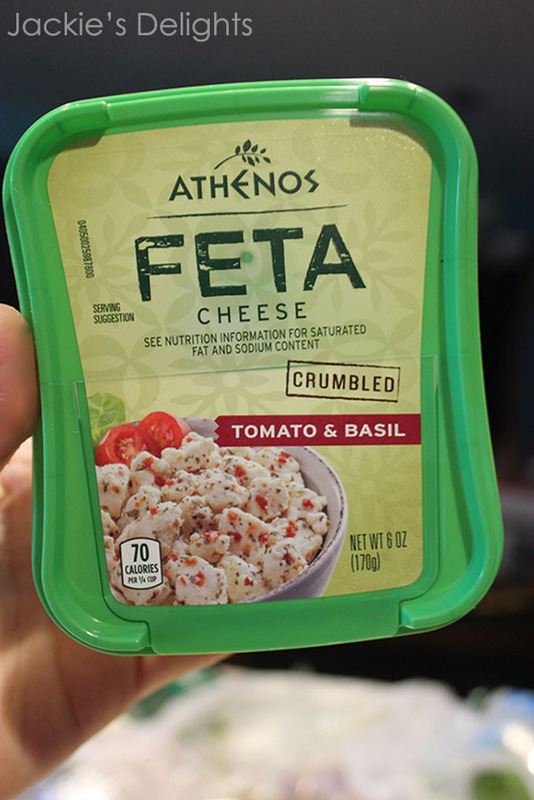 I really like flavored feta, shown below. Add your favorite dressing and enjoy! Place all ingredients in a large bowl. 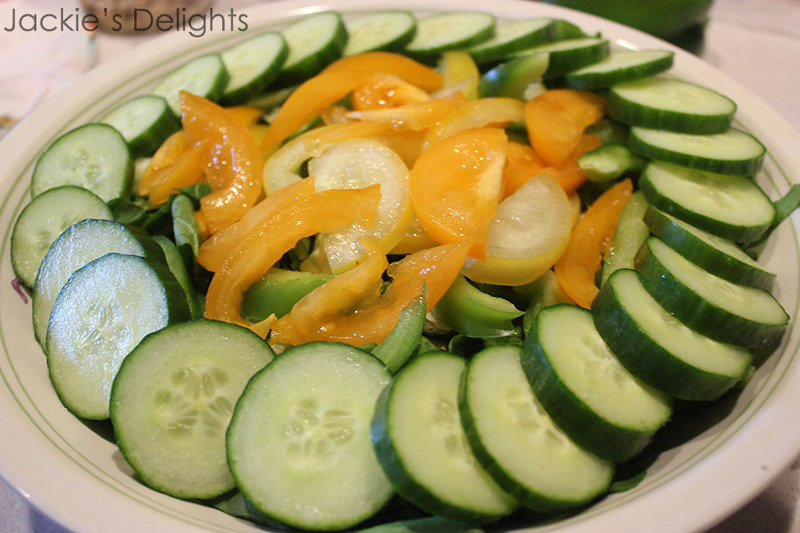 You can toss the salad, or decoratively layer the ingredients. 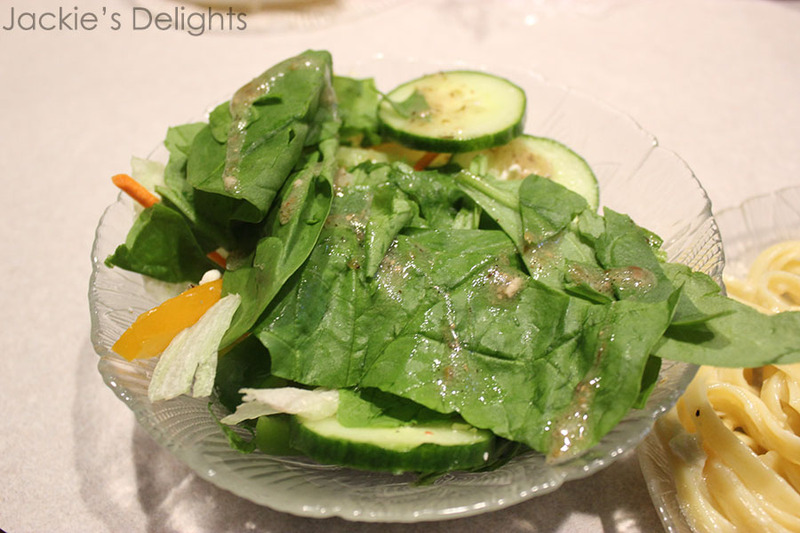 Top with desired dressing, or with olive oil and balsamic vinegar.